BassWood is our most versatile hardwood. BassWood is renown for being very stable with a fine and straight grain and an even texture. In addition it is lightweight and odourless. These properties have made it a favourite among wood carvers and this is reflected in the fact that it is ideal for special shape shutters and the production of louvers as it holds straight and true. BassWood also accepts stains very well, giving a uniform and elegant finish. 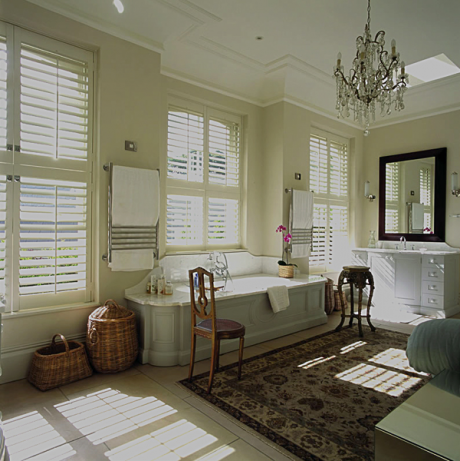 For this reason the basswood shutters range has by far the greatest number of stain choices and paint colours for you to pick from. It also has the largest number of louvre options being the only range to offer flat and s-shaped options. Finally it is engineered in the same clever way as all the shutter ranges to prevent warping and bowing, though as this wood is naturally stable, the result is a truly high quality shutter that will last for many many years.